2015 has been an eventful year and a year that for me has simply whizzed by. Here are just some of the highlights. You can see the year in pictures and read more about all the happenings for 2015 on my blog. You can also see the year in pictures on one of my Pinterest Boards. During 2015 I have been fortunate to have had two crime novels published by Severn House. March saw the first in a brand new series featuring former Royal Marine Commando, Art Marvik, who appeared in Silent Running. Marvik, newly out of the marines, is tough, highly trained,fearless, intelligent and fit. He thought he’d be able to adjust to life in Civvy Street and carve out a new career for himself on the sea, but his first job as a private maritime security operative goes very wrong.. He’d failed on his first mission and Silent Running opens with him reeling from it. Marvik’s not sure what lies ahead for him but when his former marine comrade, Shaun Strathen, enlists his help to find a missing computer scientist and a former girlfriend of Marvik’s goes missing after visiting him in his remote Isle of Wight cottage Marvik not only find himself suspected by the police of Charlotte's abduction and possible murder but also of the missing computer research scientist. Read more and watch the book trailer. 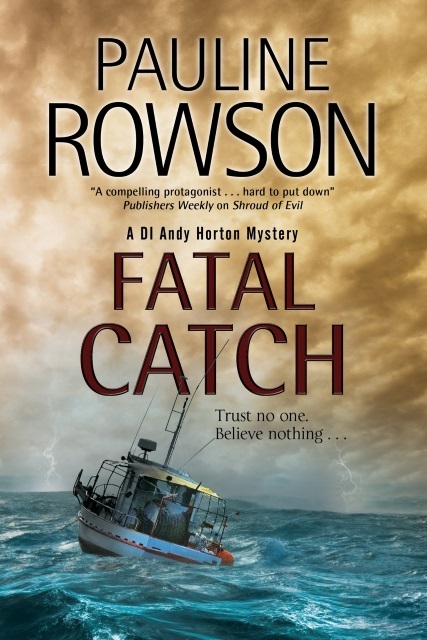 Then in September, the twelfth in the DI Andy Horton series Fatal Catch was published. Horton is called out to examine a gruesome catch by two fishermen: a human hand.Is it that of missing violent criminal Alfie Wright – or is he the killer? And where is the rest of the corpse? Soon Horton finds himself immersed in a complex case where everyone has a reason to lie and no one is who they seem. Assailed by doubts both in his personal and professional life, Horton desperately tries to keep his emotional feelings under control and his focus on his work. His instincts tell him to trust no one and believe nothing; he’s not sure though whether this time he’ll succeed … Watch the video trailer for Fatal Catch. I'm delighted that both novels have received good reviews. In addition, Shroud of Evil, DI Andy Horton 11 has been published in paperback. 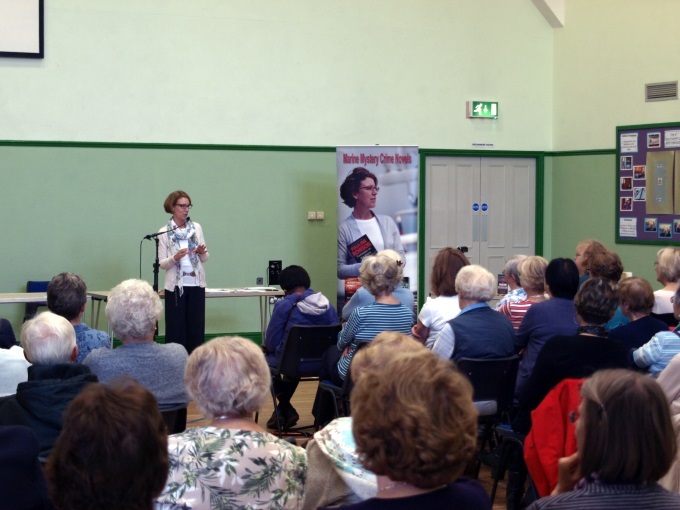 2015 saw me undertake 16 speaking engagements to audiences from the University of the Third Age, Probus Clubs, Women's Institutes, libraries and retirement associations. Also my annual trip to the London Book Fair to meet up with my Agents and Publisher. I have lots of talks lined up for 2016. You can view all these and photographs from my talks in 2015 on the events page. 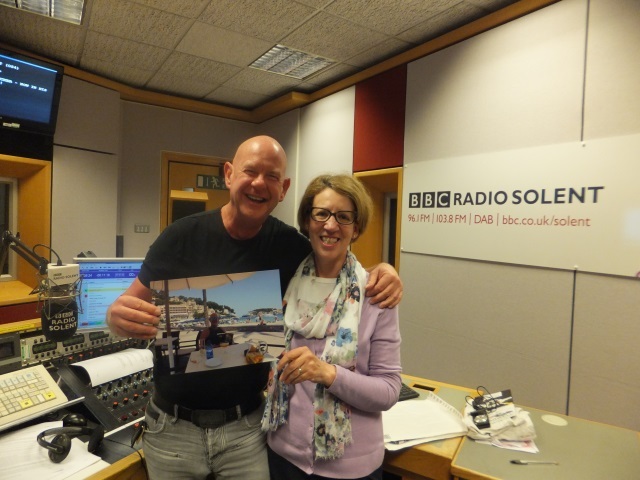 I was again very pleased to be a regular guest on the very popular Julian Clegg Breakfast Show on BBC Radio Solent. Julian surprised me on one of the shows by showing me a photograph of him in Spain reading Art Marvik, Silent Running which he was kind enough to say on air that he enjoyed immensely. I will be on the Julian Clegg show again in 2016 with my first interview on January 11 at 7.25am. 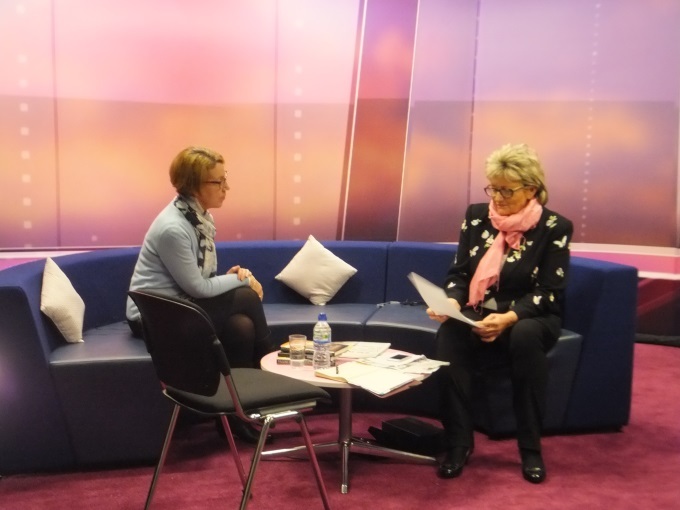 I was also asked to appear in a TV chat show on That's Solent which is shown on Freeview Channel 8 in the Solent area. My first appearance was on the 27 and 28 November and my second on the 18 and 19 December. I must be doing something right because they've invited me back the appear on two shows in February 2016. Details on my events page on this website. In January 2015 I had lunch in the BAFTA club in London with Lime Pictures, makers of Channel 4's Hollyoaks and other popular TV shows and one of the UK's top television production companies who have bought an option on the DI Andy Horton series. 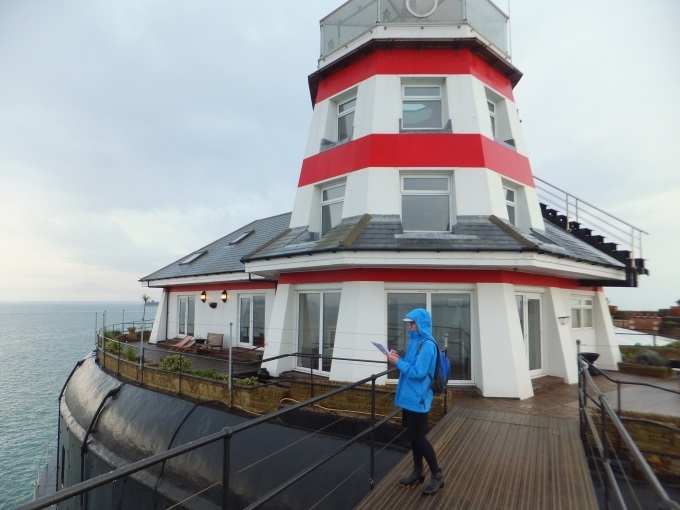 Lime are seeking to bring the enigmatic sailing detective to the television screens and have been in discussions throughout the year with a UK broadcaster to make this happen. Fingers crossed that we can see real progress on this in 2016. Meanwhile throughout 2015 I have been writing and conducting research for both the Art Marvik marine crime novels and DI Andy Horton mysteries. One of the nicest things about being a crime writer is that I get to meet some really interesting people, who do fascinating jobs. 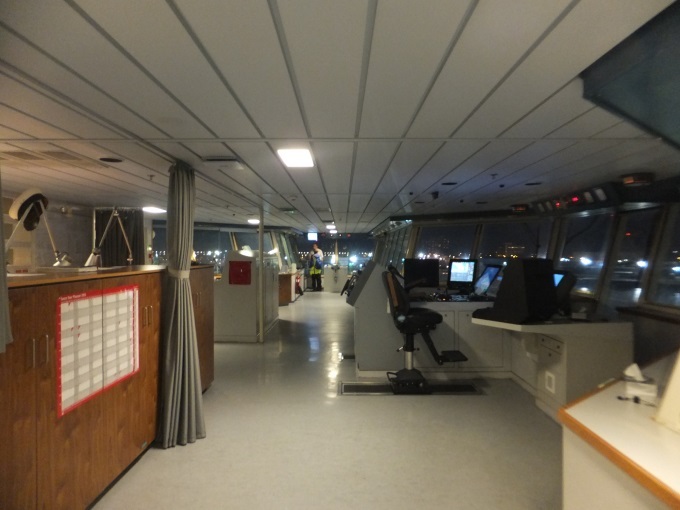 On Monday 26 October courtesy of Condor Ferries I paid a research visit to the Condor Commodore Clipper, which features in the DI Andy Horton crime novel, number 13, to be published late 2016. My visit was to check out my facts for that DI Andy Horton novel, and I am extremely grateful to the Condor team who were incredibly helpful and generous with their time and for their patience in allowing me to badger them with questions. It was also fantastic to see over one of my favourite ships which I watch regularly sailing in and out of Portsmouth - DI Andy Horton's patch. 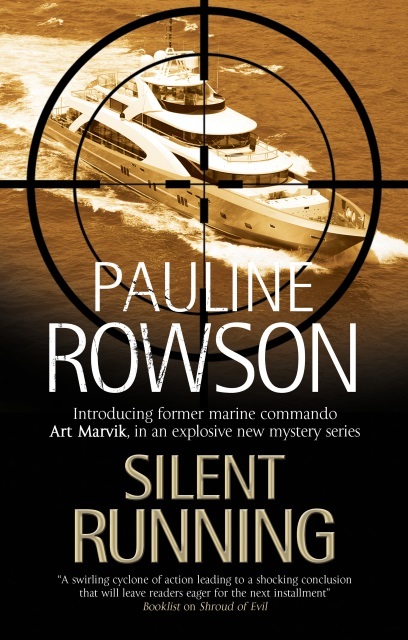 The second Art Marvik crime novel, Dangerous Cargo is to be published in May 2016. More on that in due course. And I've already written number three in the series. I've also been busy finishing DI Andy Horton 13, and have been writing the first draft of DI Andy Horton 14. In both there is a new murder mystery to solve. But will Andy find love? Will he discover the truth behind his mother's disappearance over thirty years ago? Now that would be telling. 2016 will see me putting the finishing touches to both DI Andy Horton 13 and 14, and Art Marvik 3. All in all it's been a good year with plenty happening but none of this would be possible without the support of my lovely readers, my publisher and all the people and organizations that have supported me, including, and especially, the libraries throughout the UK, Commonwealth and the USA. With many thanks and best wishes for a happy, healthy and peaceful New Year.